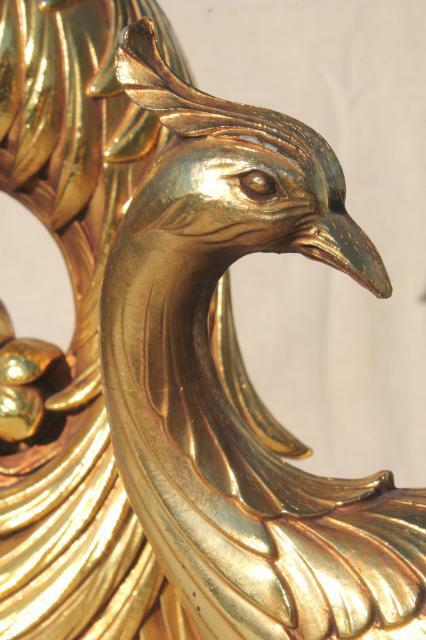 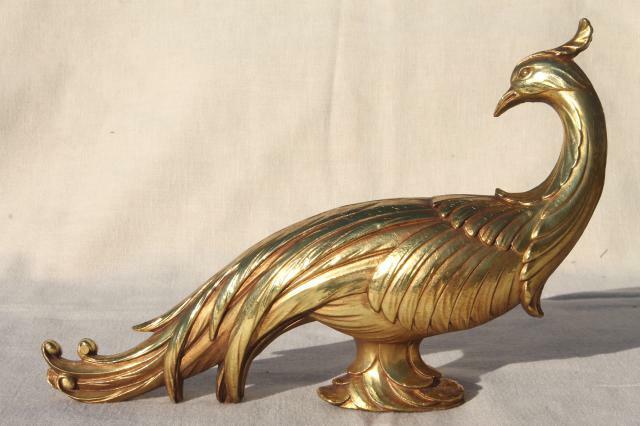 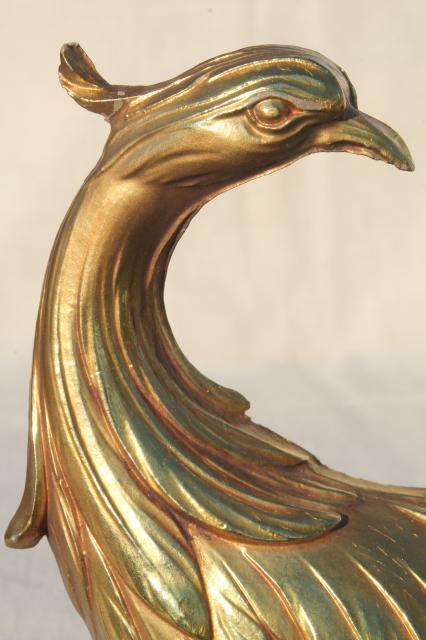 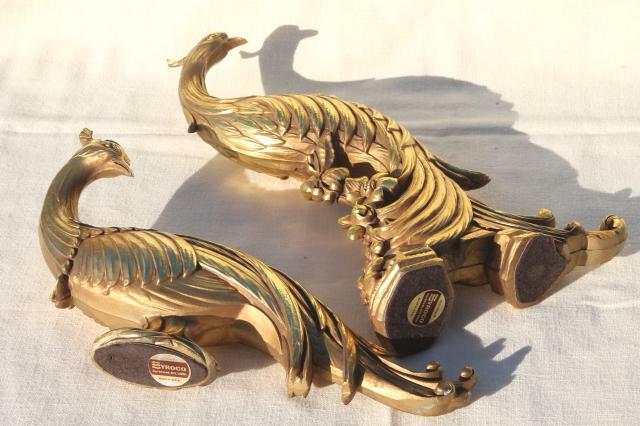 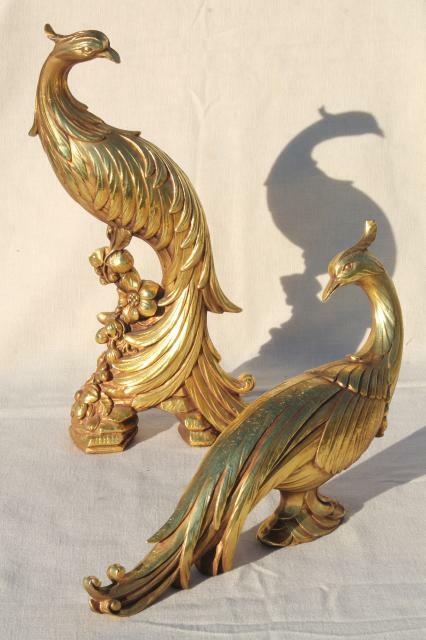 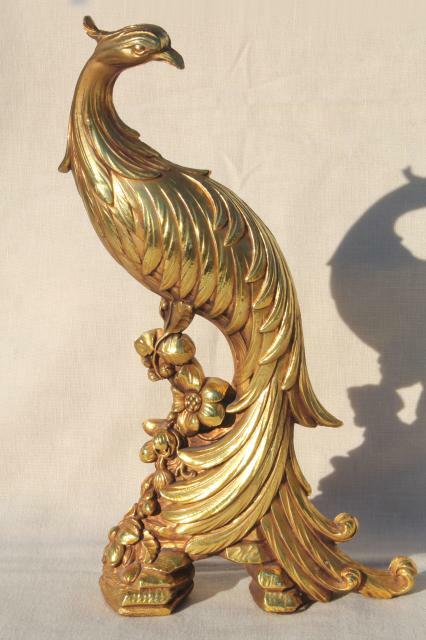 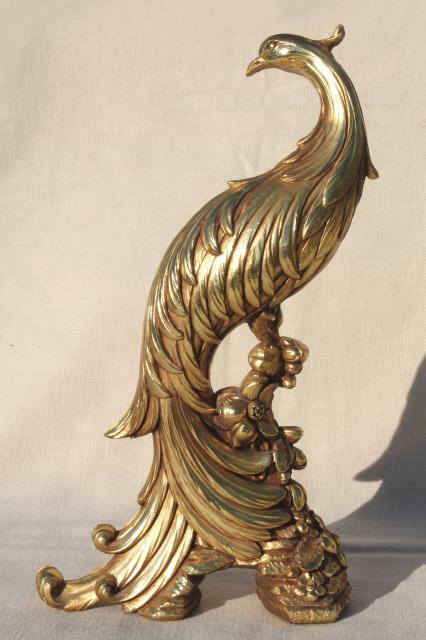 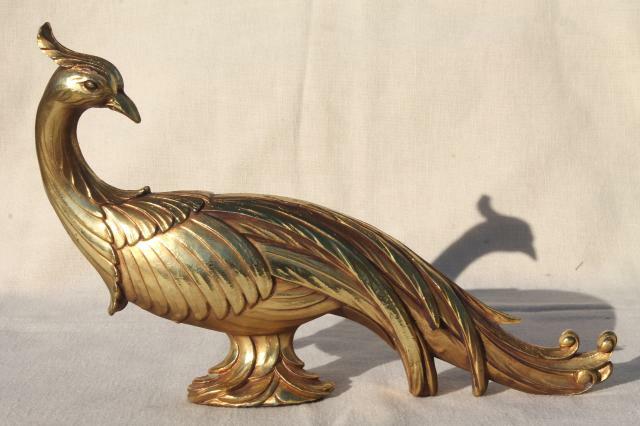 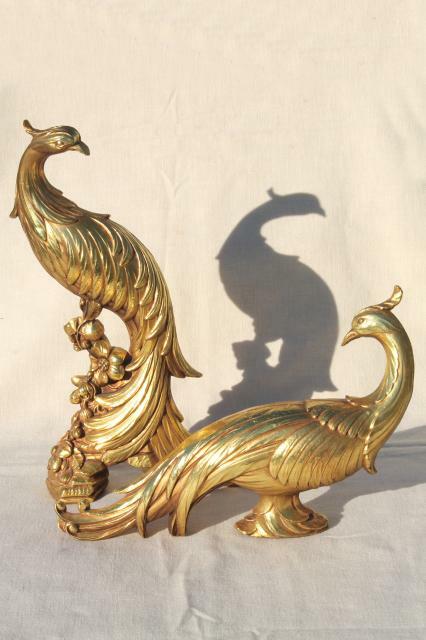 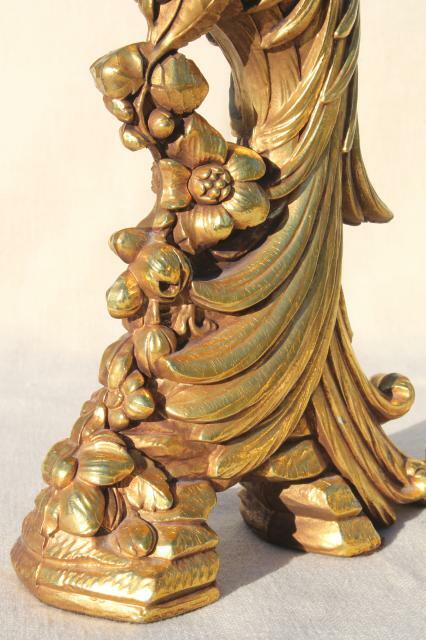 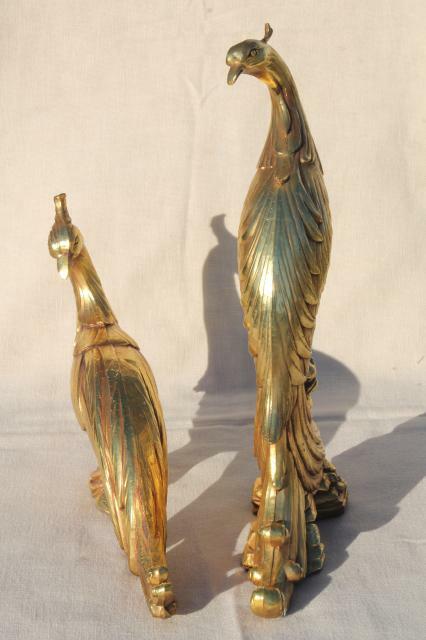 Pair of vintage Syroco gold painted composition bird statues, one 13" tall, one 13" long. 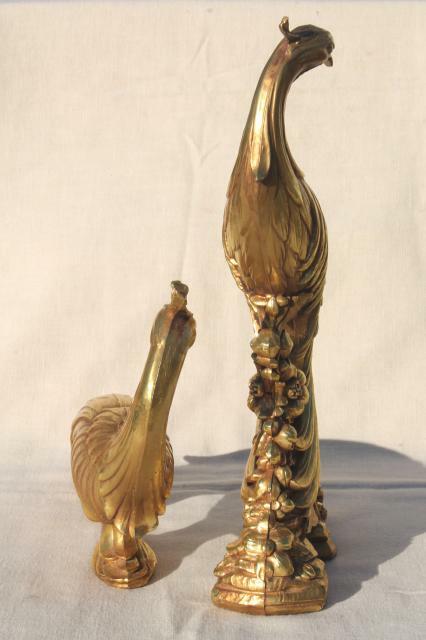 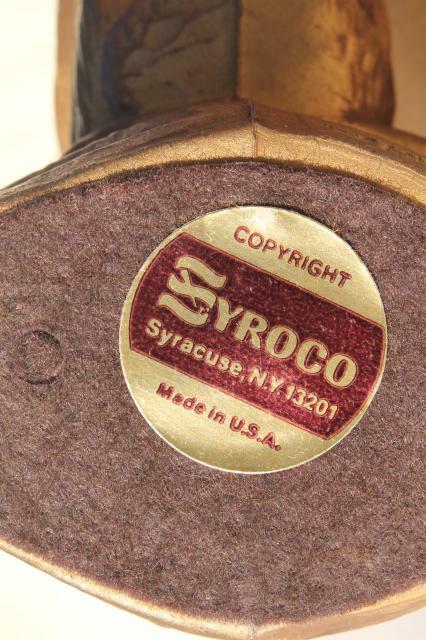 These are both in very nice condition with very little wear or crackling to the gold. 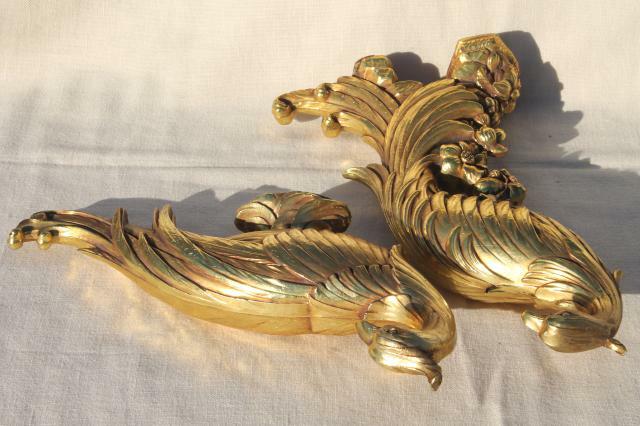 Very luxe, shabby French or Italian villa style!